Sit down for a moment and take a deep breath with me. Hold it in and count to 5. Now exhale and do it again, but this time, close your eyes and think of 3 things you’re thankful for. Is it just me or is April incredibly full? And all of it is good stuff, right? Work, kids schedules, sports, trying to get workouts in and family time. Projects. Yard work. Garden prep! We were all piled into our car the other day, chatting with a sweet friend. She mentioned how it seems like our family is always on the go, doing fun stuff. I laughed. It’s true! We are always running around these days. 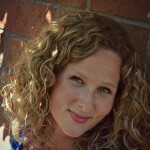 Too bad I thought the early baby years with my kids would be the busy ones….ha! Little did I know…..But you know what? It’s good. It’s so great to be involved in LIFE and participate! Be a yes person. Say yes to yourself. Your family. Your friends and super-duper importantly, your health. Try to stay rested! My kids all sleep through the night now and sleep is crucial for my sanity and health. I once heard Chalene Johnson say that people who sleep more have better skin, loose more weight and are more productive over all. Do you believe it? I do! Find little moments to sneak in what feeds your soul. I’ve been trying to start the day by taking 5 minutes to journal what I’m thankful for. Never tell yourself you’re too busy to fit in the things that really matter. Make time for a devotion, journaling or whatever it is you need. Feed yourself and hydrate healthfully! Think you can rock your way through life on junk food? No way. The busier you are, the more you need GOOD fuel! Smile, sing and dance it out. Yesterday when I unloaded the dishwasher, I danced my way through it and guess what, even though it felt weird at first, I ended up having a great time doing my chores. Shake your thing girl! 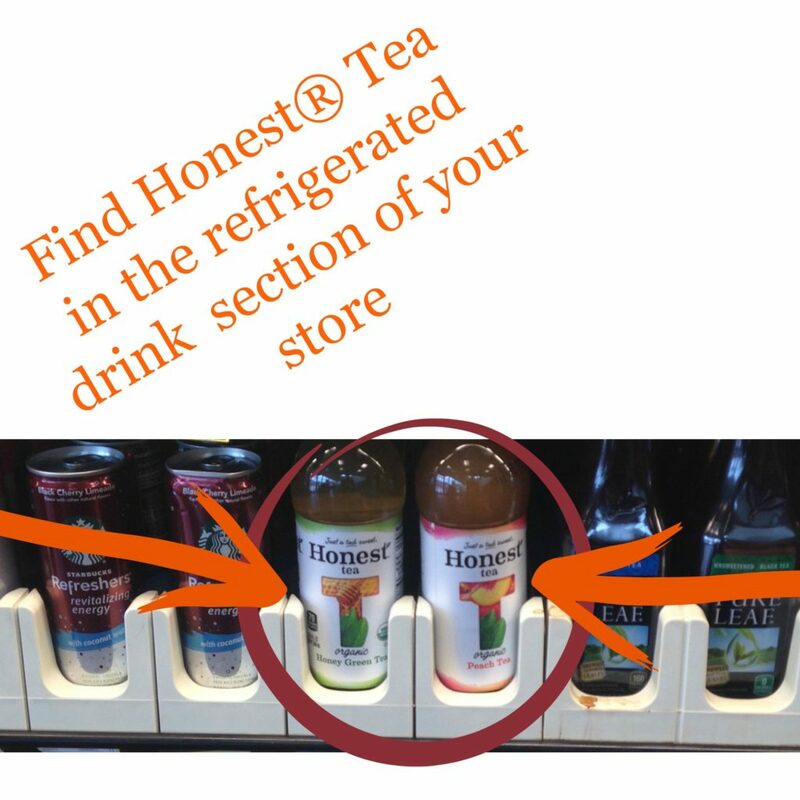 Today, I’m happy to be sharing a new favorite on-the-go drink. Trust me, busy ladies need this in their life. 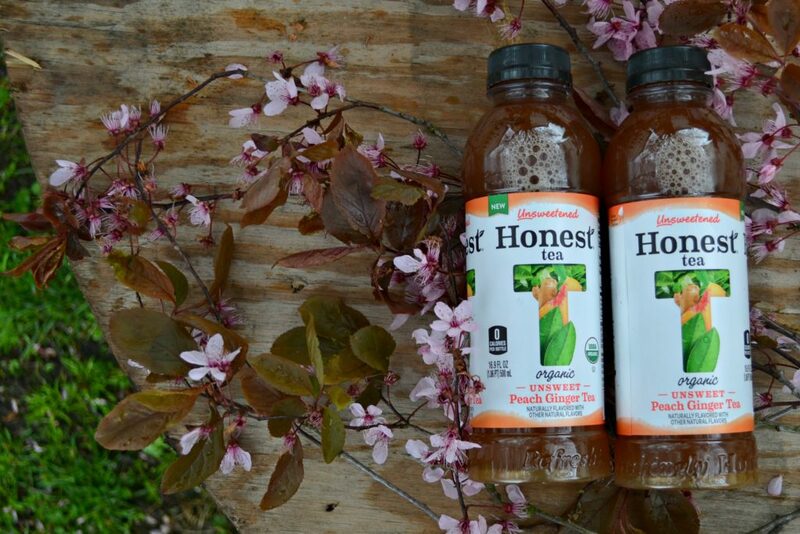 There’s nothing like taking a sip and knowing right away you’re drinking something, real, honest, pure, organic, fair trade and without any added sugar. 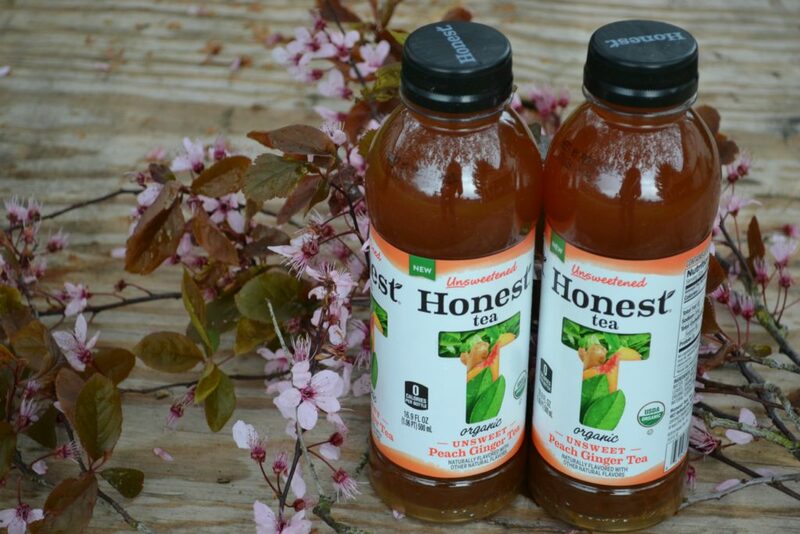 Everything they do at Honest® is about simple, clear honesty and transparency—from the way they present the ingredients to the good done to make the earth a better place. Whether you’re at baseball practice or just trying to stay hydrated while running errands, this is a choice you can feel really good about. 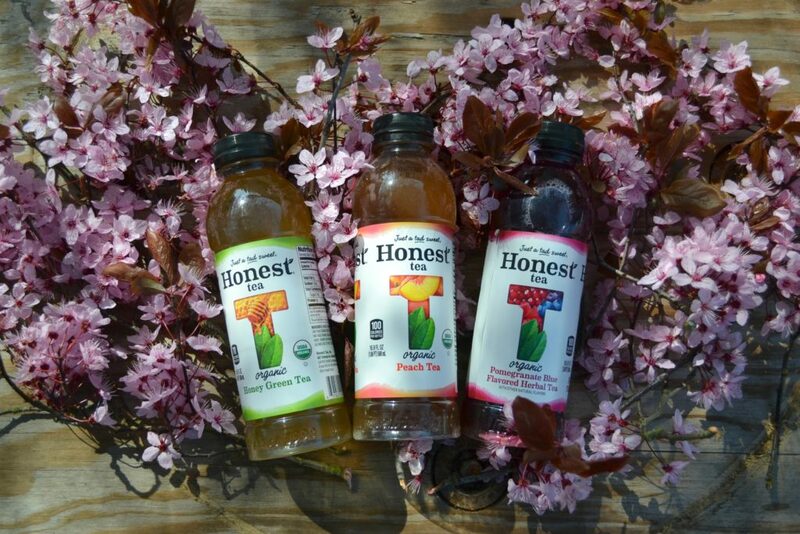 Pictured below are a few more delicious Honest® Tea flavors that we recently enjoyed on a day trip. Be sure to grab your coupon here for .25 off 1 bottle (can be used up to 5 times in one transaction at Kroger and all Kroger divisions) and find more here. Wishing you all a beautiful, healthy and fun week. 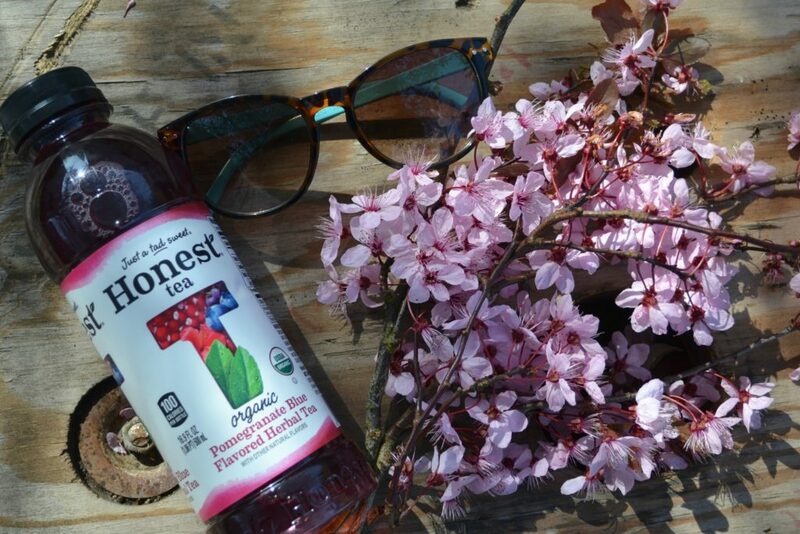 Name one thing in the comments below you’re thankful for right now and be sure to let me know which Honest® Tea flavor is your favorite! I just love the spring! 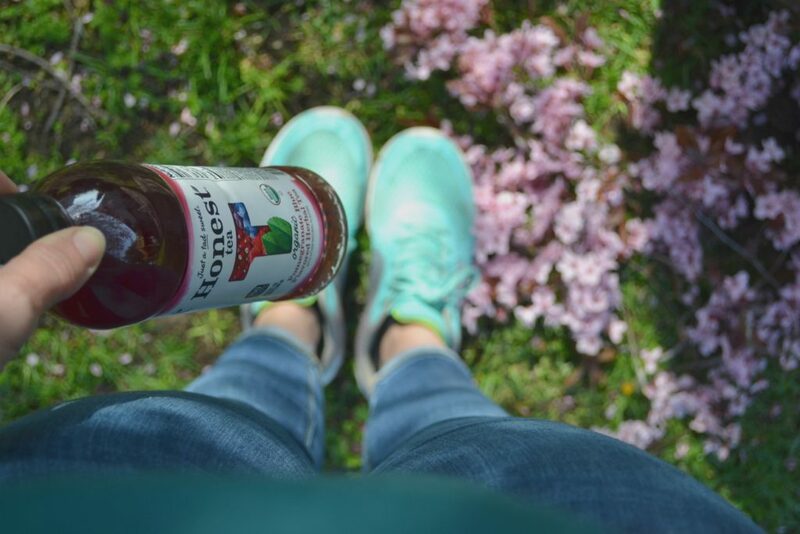 It’s my favorite time of year, and having a delicious refreshing drink is always a great way to keep calm and happy in the middle of the crazy!